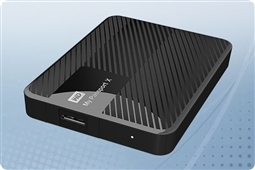 With Western Digital ever storage device is designed to have a purpose. From 1970 to today Western Digital has been a leader world-wide in advanced storage technologies. Today they have grown to be the global leader in internal storage hard drives, portable external drives, and network attached storage (NAS) arrays. Format: Formatted for Windows 10, 8, 7, or Vista. Reformatting required for Mac OS X.
Aventis Systems protects each WD My Passport X external storage drive with a standard 1 Year hardware support warranty with additional upgrades to Extended term, Express next day parts replacement, and Secure Drive media retention warranties. So shop our models below and bring the buy in gaming storage expansion today with the Western Digital My Passport X from Aventis Systems!